The composer in Balboa Park. Dr. Basil Considine is an award-winning musicologist, opera director, and composer. He is the Artistic Director of Really Spicy Opera and a member of the music staff at the Basilica of St. Mary in Minneapolis, MN. 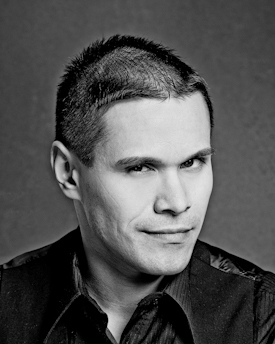 He was named one of Musical America‘s Top 30 Movers & Shapers in 2017 and received (with Elissa Edwards) the Society for American Music’s Digital Lectures in American Music Award for 2019. Dr. Considine is one of Minnesota’s pre-eminent music and theatre critics, with a specialization in opera history and new opera criticism. He has conducted ethnographic field research on music in Hawaii and Mauritius, and lived in Mauritius from 2011-2012 to conduct ethnographic research for his doctoral dissertation, Priests, Pirates, Opera Singers, and Slaves: Séga and European Art Music in Mauritius, the Little Paris of the Indian Ocean. His writings on P.G. Wodehouse and Donizetti are available from Ashgate and Brepols, and his writings on international education from Springer. His opera The Frat Party was a semi-finalist for The American Prize in Composition for 2017-2018. Basil has been the Artistic Director of Really Spicy Opera since 2006. He was an instructor at Boston University from 2007-2012, on the faculty and staff of Walden University from 2013-2017, on the staff of Azusa Pacific University from 2014-2017, and on the faculty of The University of Tennessee at Chattanooga in 2018. He is a faculty member of Abilene Christian University and will be a visiting research fellow in residence at the Winterthur Museum, Garden & Library in the Spring of 2019. Basil began his musical studies at the age of 4 in the Boston area, where he attended the Boston Archdiocesan Choir School, Suzuki School of Newton, and New England Conservatory of Music Preparatory School. 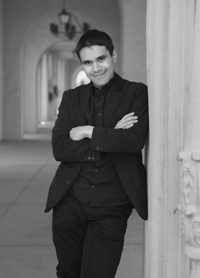 He received a bachelor’s degree in music (vocal and piano performance) and theatre from the University of San Diego and a master’s degree in sacred music and composition from the Boston University School of Theology. He holds a completed PhD in music (historical musicology and ethnomusicology) and drama from Boston University, and wrote a musical and military history of the island of Mauritius for his dissertation. Basil is an active church and concert singer. He gave his concert debut in Boston’s Symphony Hall at age 11, as the boy soprano soloist with the BSO in John Corigliano‘s Of Rage and Remembrance. His concert appearances have included performances with the Boston Pops, Boston Symphony Orchestra, Tanglewood Festival Chorus, Marine Band San Diego, and the Boston Boy Choir. He is currently a member of the Cathedral Choir and the Schola Cantorum at the Basilica of St. Mary in Minneapolis, one of the largest and most important Catholic churches in the Upper Midwest. Basil’s teachers include Simon Carrington and Ryan Murphy (conducting), Christopher Adler and Samuel Headrick (composition), and Lydia Diamond (playwriting). He studied Medieval and Renaissance music with Sean Gallagher, Marianne Pfau, Joshua Rifkin, and Jeremy Yudkin; ethnomusicology with Steven Cornelius and Brita Heimarck; church history and liturgy with Christopher Brown and Karen Westerfield Tucker; historical keyboard performance with Peter Sykes and Nancy Granert; historiography with Barbara Diefendorf and Andrew Bacevich; music and drama with James Winn; opera with Ron Shaheen; and contemporary music with David Kopp and Andrew Shenton. Basil travels the world regularly in search of music manuscripts, mezzo-sopranos, and gelati.